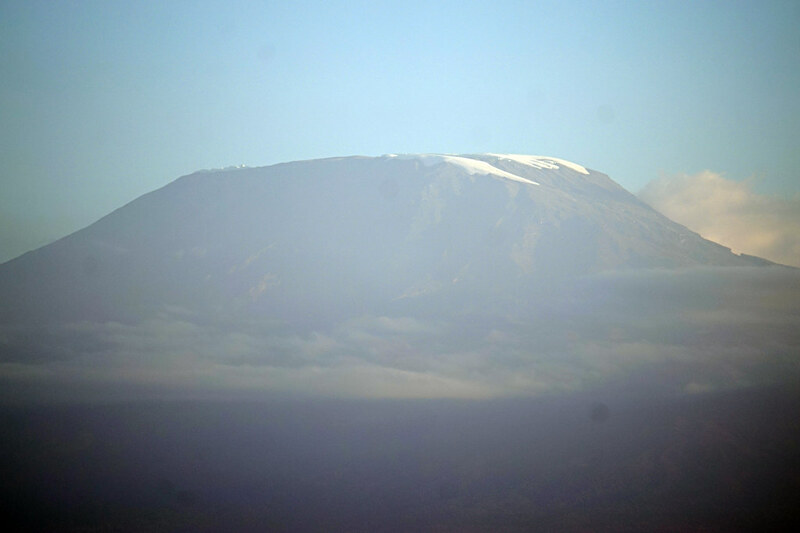 Here are a few more quotes on Kilimanjaro from authors who visited at about the same time, Winston Churchill and Stewart White. Our oryx led us a mile or more over rocky slopes, always promising and never giving a good chance for a shot, until at last he drew us round the shoulder of a hill — and there, abruptly, was the rhinoceros. The impression was extraordinary. A wide plain of white, withered grass stretched away to low hills broken with rocks. The rhinoceros stood in the middle of this plain, about five hundred yards away, in jet-black silhouette; not a twentieth-century animal at all, but an odd, grim straggler from the Stone Age. 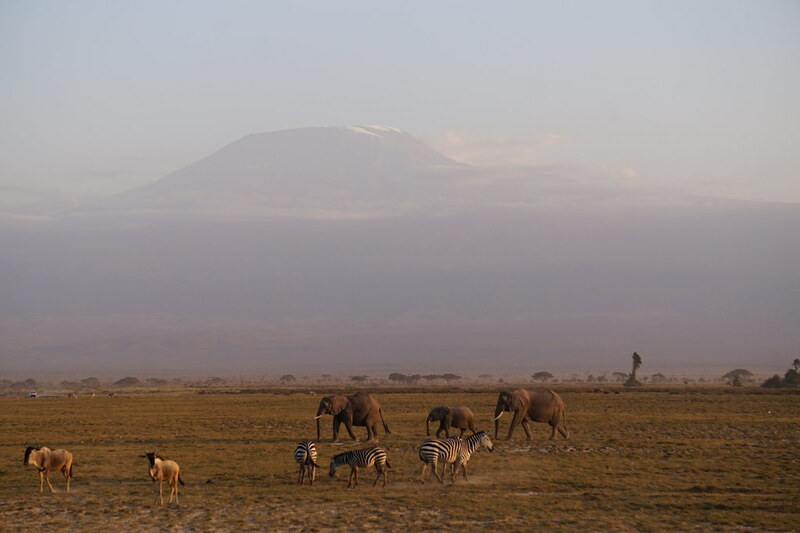 He was grazing placidly, and above him the vast snow dome of Kilimanjaro towered up in the clear air of morning to a scene unaltered since the dawn of the world. suspended like a rose-coloured bubble above the abyss beyond the world.